Some Ford Car Service Manuals PDF & Wiring Diagrams are above the page. Henry Ford founded the company in 1902, having on hand of $ 28,000 from twelve investors, among whom were John and Horace Dodge, who later founded the Dodge Brothers Motor (Manuals PDF page) Vehicle Company. He was 40 years old when he first opened the company's first plant for the Bagley Street, Detroit. Later on June 16, 1903, he registered his company. Ford Motor Company has developed and labeled their models in chronological and alphabetical order, starting with the Model A, then K and later S, which was the last right-hand drive car Ford. Then in 1908 Ford introduced the Model T, which was designed by Childe Harold Wills and two Hungarian immigrants, Joseph A. Galamb and Eugene Farkas. This model has been the most common car Ford, which has enabled the company to become one of the most influential brands in the automotive history. The Model T was reliable, practical, and affordable, and Ford made a hit in the US, where it was advertised as a mid-range car. Due to the success of the car, Ford was forced to expand their business and built the production line first in the world in 1913 for the assembly of cars. By 1912, production figures only T models have reached almost 200,000 units. This organizational innovation, which appeared in the production of cars, the chassis has allowed Ford to reduce assembly time by as much as 10 hours, reduced from 12 and a half hours to 2 hours and 40 minutes. In addition to ensuring the efficiency of the production process, Ford announced a strategy of participation in profits. Factory workers receive part of the profits if sales amounted to 300,000 units. As expected, sales of light reached 300 000 th threshold and went even further, reaching a record 501,000 units in 1915. The new project financial tactics, the Ford has provided jobs for the disabled, which was not easy to find work, reduced work shifts and doubled the salaries of all employees. These changes have caused a huge increase in sales and at the same time created a modern working environment. Ford Motor Co. I managed to get to his feet after his failure with the Edsel with the release of Falcon model in 1960 and the Mustang in 1964. The next major step was the formation of the European Ford divisions in 1967. Ford was plunged into a state of extreme fatigue, which brought the company to the verge of bankruptcy. After heavy losses in sales in the 2000s, Ford was pinned to the wall of debt and the inevitable closure of the company. Preferring to renew their own company, Ford has invested all of its assets in 2006. Soon, the company has released a number of new models like the Ford brand, and the rest under its sub-brands such as Mercury and Lincoln (luxury division of Ford) (Manuals PDF pages). 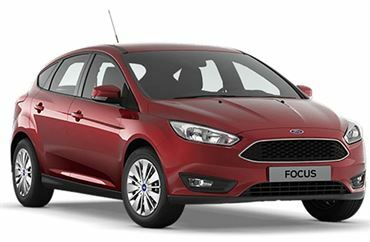 Business in Europe also went to the benefit of the Ford, especially after the release of Focus models in 1997, and although the company has not yet fully recovered, she was definitely on the road to popularity.